The Premise: Aralorn has been called home after ten years away as a spy for the mercenary city-state of Sianim – her father, the Lion of Lambshold has died. Aralorn returns to the family she left behind and to the reasons why she left. She also discovers that her father is actually alive but kept in a death-like state through some malicious black magic spell which neither she nor Wolf can easily break. The question becomes – how can they free Aralorn’s father before his life leaves him for real, and who is responsible for his “death”, and why? My Thoughts: This book starts off not too long after the events of the last book – just enough time for people to settle down again after what happened at the ae’Magi’s castle. The principle characters of the first book have gone back to their regular roles, and Aralorn and Wolf have gone back to the spying game. Apparently the world has accepted happened at the ae’Magi’s castle with minimal repercussions, and if there are to be significant world changing events because of it, they aren’t happening right away. Almost no one knows or suspects that Aralorn and Wolf were ever involved with what happened, but when Aralorn’s father is targeted, the first thought to come to mind is that their fight is not over. It’s natural to wonder if such a evil villain, whose body is never found, is really still alive. When people begin to have strange dreams that feel like they are memories rather than dreams, it suggests a perpetrator with magical power, again pointing at the ae’Magi, but there are a few magic users in the vicinity of Lambshold, including Aralorn’s brother-in-law as well as her shapeshifter relatives. And then, there’s the new ae’Magi. 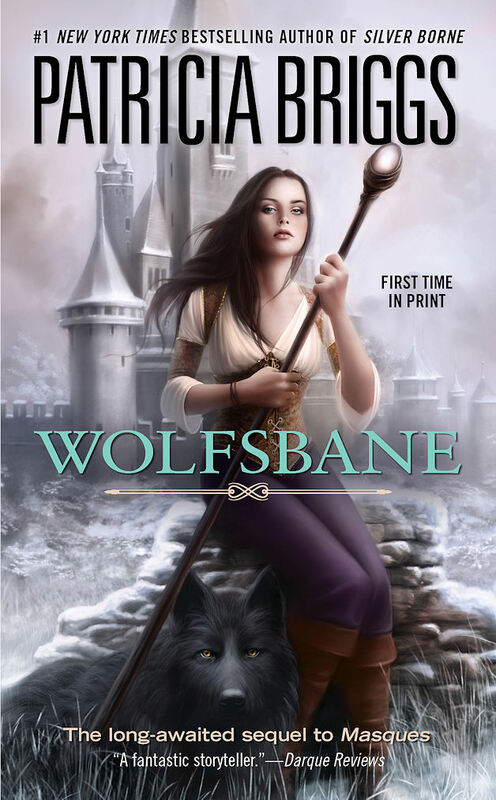 Thus, Wolfsbane is a sort of a magical whodunit to find out who is behind the Lion of Lambshold’s “death”,with the side effect that we get to delve into Aralorn’s beginnings and explore her relationship with Wolf. I love Patricia Briggs’ current urban fantasy series, but when I read Wolfsbane and compare it to her newer work, it lacks finesse. I can see the foundation in Wolfsbane for the writer Briggs is now. It has the ideas and a relationship between two unique characters which I love in Briggs’ recent work, but the execution here is a little clunky. Aralorn and Wolf have only two weeks to lift the spell on her father but there’s little sense of urgency or pressure from Aralorn’s family about how little time they have and how little they know. Compared with Masques, which had quite a bit of action, Wolfsbane less physical, more verbal. It mostly deals with Aralorn and Wolf asking the opinions of the nearby experts, deciding what to do next, and contemplating their relationship with each other. In both the mystery and the relationship I found things a little too scripted. Aralorn would tell stories or make decisions that seem out of the blue, but they had a direct bearing on the story later on. Similarly she knows Wolf’s state of mind before he does, and while he’s being the self-hating hero, she’s cheerfully understanding. I enjoyed Aralorn and Wolf’s relationship in Masques, because I felt that Wolf’s prickliness was well balanced with Aralorn’s ability to see what he was really feeling. Unfortunately, in Wolfsbane, this same relationship didn’t work for me, probably because Wolf’s role as a tortured hero was revisited constantly. After a while I began to find his angst and Aralorn’s response tedious. That’s not to say that there were not one or two sweet moments between Aralorn and Wolf that I liked reading, but I felt that some of the space used to repeat what we know about their relationship could have been used to deepen the plot and flesh out the secondary characters. Instead, the relationship took precedence over the plot, and the cheerful demeanor Aralorn uses with Wolf jarred in the face of her father’s near-death state. Overall: Many aspects of this story were fit together in a way that lacks the polish I expect of Briggs today. It feels like an early work, and one that doesn’t quite have the same charm that I found in Masques. For die-hard fans of Patricia Briggs, this is a must read, but as a fantasy novel, it’s mildly entertaining, but did not stand out. 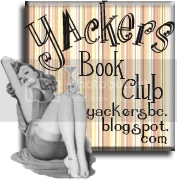 The story may work better for readers who are more interested in the wounded-man-and-his-savior relationship between the two main characters and are not as invested in the fantasy aspects. Patricia Briggs’ Mercy Thompson series is one of my favorite urban fantasy series out today. When I started getting into them I naturally looked into her backlist, which is in the fantasy genre. I’ve read both Hob’s Bargain and the Hurog duology, and the Raven duology is in my TBR pile, but the one book I could not get my hands on was Masques, her first book. In a post I wrote in 2007, I noted that I wanted it, but “This book goes for at least $60 on eBay, $120 to over $600 elsewhere. Which I think is CRAZY.” I didn’t think it was worth paying so much for a book which the author herself admitted was her first effort and thus had a lot of weaknesses! Thankfully, Masques was re-released after a rewrite by Briggs. Even better: its sequel, Wolfsbane, is now available. This review is for the rewritten Masques. The Premise: Aralorn is a mercenary who “doesn’t take orders” and “will occasionally listen to suggestions” which makes her ideal as a spy for the city of Sianim. Her latest assignment is to check out rumors of an assassination attempt on the ae’Magi, the much beloved Archmage of the land. It isn’t until she is at his castle does she realize that the ae’Magi is not the good, kind man the world thinks he is. He’s pure evil, but his influence over people’s hearts makes any opposition near impossible. The only people who realize the true nature of the ae’Magi are persecuted by him. These include Wolf, a grey beast with yellow eyes who can speak, the young King Myr of Reth, and a small but growing group of rebels hiding in the Northern Woods. My Thoughts: This book begins with an introduction by the author which explains that Masques was a book she started in college when she knew nothing about writing. This means that in looking at it again as a more experienced writer, there was a lot of “squirming uncomfortably” and the first attempt at a rewrite was so extensive that it changed the story completely. So this edition of Masques is a compromise: it keeps the original story but makes things fit better, leaving the “cliches and oddities” intact. I kept Briggs’ introduction in the back of my mind while reading the book, and I can see what she alludes to as the “cliches and oddities” in her story. Yes, there are a lot of things in Masques that feel very familiar. Aralorn’s background alone made me wonder if I’d read Masques before: the plain-looking lord’s daughter, more interested in swordplay than etiquette, runs away from home with her warhorse and joins a mercenary guild. Her shapeshifter bloodline and quick wits keep her alive, and along the way she gains a wolf companion. Add to this the evil sorcerer in his castle, a scarred hero, an army of mindless minions, a spymaster, a dragon, and magic items, and you have a rather common set of tropes. Yet I never felt that these things were trite. Instead I felt like I was reading a story where the plot had a charming enthusiasm, while the writing itself was polished by experience. I didn’t think the polish covered all flaws, but there were qualities in this story that reminded me of what lured me into the fantasy genre during the nineties, and that was worlds I wanted to visit. I really enjoyed the settings, particularly the fantastic rooms described in the story. I loved imagining the secret places these characters went and the grand palace that the ae’Magi lived in. I also liked the idea of the green versus human magics, and how shapeshifters and magical creatures fit into this. The explanation of how the magic works could have been better, but there was still a sense of wonder while reading about magical creatures and old stories that I enjoyed. There’s a lot thrown into the 294 pages that was this book, but story is essentially a good versus evil tale. After Aralorn discovers the true nature of the ae’Magi, King Myr of Reth has to flee his palace, leaving his throne open for the ae’Magi to usurp. Aralorn and Wolf join him in the Northlands. Here, the power of human magics like the ae’Magi’s are not as affective, but green magic, the magic of Aralorn’s shapeshifter people, have no problems. A ragtag band of people impervious to the ae’Magi’s magical influence trickle into the hidden camp, called my some unknown power. Together they begin to work out how to overthrow the ae’Magi. There are a few secondary characters within this rebel camp, but besides King Myr and the ae’Magi (who were very good and very evil respectively), no one really made much of an impact on me. The focus is primarily on the two heroes (Wolf and Aralorn) and they stood out while others faded into the background. I found myself uninterested in the camp’s day-to-day life and more drawn in by Aralorn and her relationship with the the enigmatic Wolf. Although I feel like Aralorn is the main character, Wolf steals the show. Aralorn rescued him from a pit trap, and over the years he’s slowly revealed more about himself, including the fact that he’s not just a wolf. He’s your basic scarred hero, but he and Aralorn have developed a bond which has become something more for them both. I loved reading about his past and their conversations while they researched spells in Wolf’s private library (I wish this library was real). Aralorn is a good match for his prickliness because she can cheerfully ignore it, and she uses her humor to chip away at his shell. As you can imagine, this is the set up for a romance. I was expecting something slow moving from the way the book began, but the complications I thought I’d see were superficial ones. It was sweet but not intense. I am looking forward to reading the second book to see how their romance continues and I hope to see better developed secondary characters that play a larger role in the plot. Overall: Masques is a little bit dated because it’s a book originally written in the nineties, but it has a lot of charm. It reminds me of books about female heroines having adventures written by Robin McKinley and Mercedes Lackey that I read in my teens and still hold a fondness for today. It has its flaws but it also has charisma, and it kept me pleasantly entertained for the few hours it took me to read it. I think would do well with YA readers interested fantasy, particularly girls. This movie comes out August 6th. I NEED to see this! It looks very girly and I’m ok with that. The only problem is that it’s not in English, but I will find a way. After an upbringing of proper behavior and oppressive expectations, Aralorn fled her noble birthright for a life of adventure as a mercenary spy. Her latest mission involves spying on the increasingly powerful sorcerer Geoffrey ae’Magi. But in a war against an enemy armed with the powers of illusion, how do you know who the true enemy is-or where he will strike next? 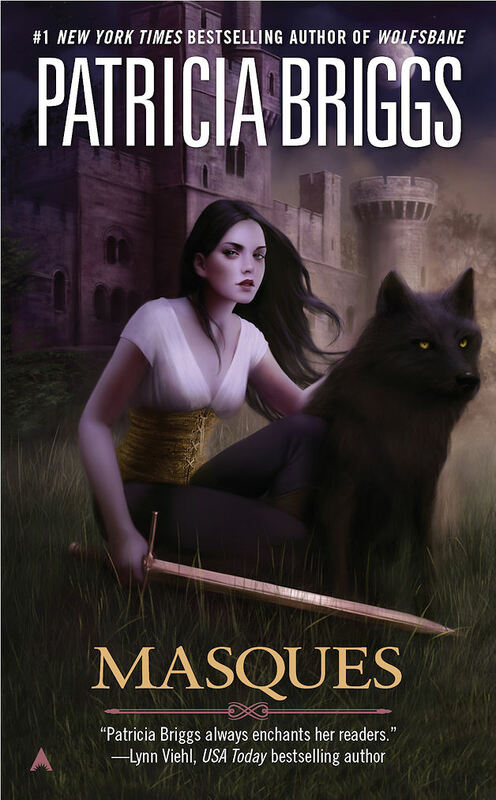 What’s even better is that I discovered through the lovely Angieville, that the sequel to Masques, Wolfsbane, is being published this year as well (November 2nd)! YESSS. I’m vibrating with glee right now. The Premise: This is the second book of Patricia Briggs parallel series to Mercy Thompson, featuring a mated Alpha and Omega werewolf couple, Anna and Charles. Bran, the Alpha of all werewolves in North America is getting ready to out the existence of werewolves for various reasons and wants the European wolves on board or at least willing to stay out of the way during the process. Charles has an inexplicable bad feeling over Bran going to Seattle convinces Bran to send Anna and himself instead. 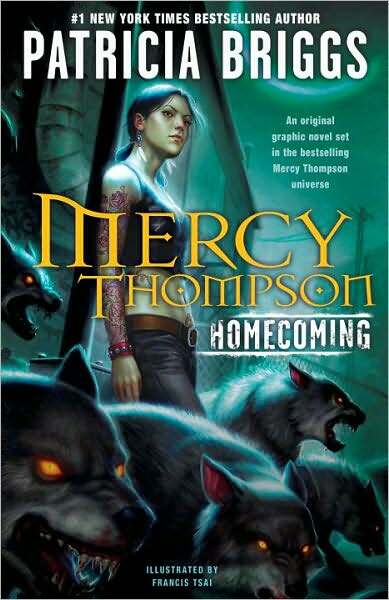 My Thoughts: The conference with the European wolves happens parallel to the Mercy Thompson series (I think between MT books 2 and 3? ), but I don’t think you really need to have read Mercy Thompson to enjoy Anna and Charles. I would say that you DO have to read this series in order, probably starting with the short story, Alpha and Omega in the anthology On the Prowl, and then book one, Cry Wolf. Anna – Anna’s growth and emergence of a backbone delighted me and was the highlight of the book. When I was first reading this I was struck by the first couple of chapters because Anna seemed very comfortable with Bran and Charles, and in teasing and playing with them. I was a little surprised after her timidness in Cry Wolf. Then when she goes to Seattle, the old, scared Anna seems to come back in the presence of all the alpha wolves. This made sense to me. Anna is getting used to being an Omega wolf and she is still recovering from what happened to her in her old pack. There’s a few things that happen over the course of the story which allow Anna to work through some of her hangups in a satisfying way. Anna and Charles’ relationship – This is still developing and it’s not easy. Charles finds himself very protective of Anna, and it’s hard to reign in his wolf sometimes. Anna on the other hand isn’t past her abuse by her previous pack. The Alpha and Omega series is different from the Mercy Thompson in that it is more of a paranormal romance, with more emphasis on the relationship, than an urban fantasy. There was a scene I liked in particular between Anna and Charles, which is actually illustrated on the cover of the book, but as to the rest of the book, I mostly felt that there was something missing between the two of them. There seemed to be a lack of spark, and it was hard to really buy into their relationship. This is a big problem because the relationship is such a huge part of the series. Everything between Anna and Charles felt a little awkward, which wasn’t a problem I remember having while I was reading the earlier book. Those moments that happen between couples where you can tell there is something deep between them – I just couldn’t see it. I hope that this is a problem only in this book and not in the continuations. And out come the wolves – This is something mentioned in the Mercy Thompson novels – that Bran, the Alpha of the werewolves in North America had planned to have the world know about the existence of werewolves. I was really interested in the specifics of this, which we get and I was mostly happy with it, but once we get the gist it moves behind a closed door, and I wish more focus was put on it’s ramifications and the dealings between werewolf packs. What ended up happening is that the focus went to Anna and the problems surrounding her by virtue of being an Omega and Charles’ mate. She becomes the target of an abduction and the book focuses on that mystery and inserted action is about this. In the end I enjoyed Anna’s part in bringing the bad guys to justice (again – I liked Anna in this book! ), but the rest of it had an abrupt feel, so the execution for the most part underwhelmed me. So I think basically, while I do get some of the things I expected in this book, it feels like the focus is fractured. Something just didn’t flow as well as what I’m used to seeing in a Briggs novel. Things niggled at me, as I described above. 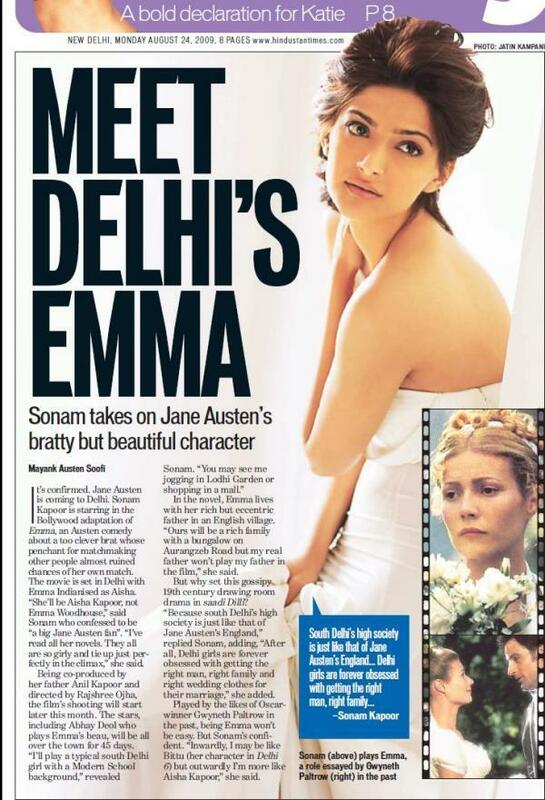 I also noted unnecessary repetition that bothered me, such as almost every female joking with Anna on how to deal with Charles, or where someone calls Anna timid and irritates Anna for doing so. It didn’t feel as tight as past books. Overall: This is a really hard review to write because although I’m a big fan of Briggs, throughout the book I kept having this feeling that things were off. I put the book down for a few days and picked it up again when I was in a better frame of mind, but I still had this feeling which I’m having a hard time putting my finger on. I would say that it is still a good read, but it fell below my high expectations of Patricia Briggs. The story wasn’t as cohesive and for me, the biggest issue I had was the lack of spark between the hero and heroine. I’m still not sure if I’m just not seeing it while other readers are. I plan to continue reading this series and hope that this is just a one-off. calico reaction – rated it “Give it away” – liked it less than I did I think. This is the graphic novel which collects the first four comics in this series. I pre-ordered this one since I’ve been looking forward to it for a while. Premise: This is a graphic novel prequel to the events in the Mercy Thompson books. It covers Mercy first arriving at the Tri-Cities, getting a job as a mechanic and meeting Zee, Stephan and others. In true Mercy form, she manages to find herself involved with trouble (starting by being attacked by a pack of rogue wolves), but stubbornly works through it in her own way. My Thoughts: Wow, I’m seeing a lot of negative reviews on Amazon from people who thought this was a novel, not a graphic novel. Yikes! Perhaps they pre-ordered *very* early before the cover which says “an original graphic novel set in the best selling Mercy Thompson universe” was put up, and didn’t check Patricia Briggs’ website to see that the next Mercy Thompson novel is Silver Borne and is coming out Spring 2010. : It’s a bit sad to see it getting a lot of negative reviews because of this. Anyway, as a graphic novel, I liked that everything is in rich color (not always the case)! I’ll probably be flipping the book open to stare at the artwork every so often this week. I’m enjoying having images of the characters to look at. It looks like the illustrators were changed halfway from Francis Tsai to Amelia Woo, so there were some subtle differences in how people were drawn, but I wasn’t completely thrown. I did feel that there was an uneven-ness in the way Mercy was drawn. First: she looked asian sometimes, white others, and native american rarely. Then in the first two comics Mercy looks similar to how she looks on the covers by Dan Dos Santos, but in the second two she has lighter hair and skin. I’m not sure why. It’s too bad Mercy looked so different when she’s the main character. Either way, I still liked the artwork, so that’s a minor complaint. I most liked how Adam was drawn by both illustrators. Zee looked the most like I imagined, but maybe more wiry and less stocky than I expected. Stephan looked the *least* like I expected (90’s grunge vamp? didn’t expect that one). Story-wise, there is a lot of subtle back story hints which fans of the Mercy Thompson novels will like. How Mercy got her lamb necklace and her cat for example, but I do think this graphic novel is better when you have already read the Mercy Thompson books so you can pick up on these things. Bran doesn’t really show up in this book but there is a drawing of him in the extras at the end of the book (the other extra is an interview with Patricia Briggs about working on this GN). Overall: A nice graphic novel prequel to the books. A must for die-hard Mercy Thompson fans, but if you don’t like graphic novels you may want to skip it. I personally like it a lot and am happy I bought it (*hugs it* but then I’m a big fan of this series). The only minor complaint I have is that the artwork had some inconsistencies and uneven-ness particularly in the way Mercy was drawn.